Applicants for a Green Card for permanent U.S. residency who have a criminal record, should speak with an experienced immigration lawyer at Tarshish Cody PLC. 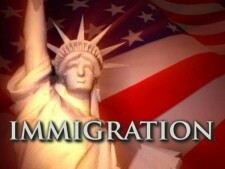 Our experience immigration attorneys provide counsel and information to support a successful Green Card application. Our attorneys help explain your options for a successful petition and assist in avoiding criminal deportation. Contact Tarshish Cody PLC at 952-361-5556 for a free initial consultation to explain how we can help you with your Green Card application. These CIMT convictions from either a state or federal court are looked at as part of the Green Card application process. There may be an equivalent federal penalty that is more severe than a given state’s punishment, and that is part of the consideration of your application. Even if a Green Card applicant has more than two convictions involving CIMT, Tarhish Cody PLC Green Card attorneys can assist you in requesting a waiver which will allow you to apply for a residency Green Card. Just as importantly, Tarhish Cody PLC attorneys aggressively defend our clients who may face criminal deportation proceedings, should your application precipitate deportation proceedings by the USCIS. Once we have helped you attain your Green Card, should you get convicted of a crime in the CIMT category, that will affect your eligibility to achieve U.S. citizenship. Indeed, a lesser than CIMT crime may affect your citizenship petition. Additionally, if you as a Green Card holder commits a crime, you can become subject to criminal deportation and face the possibility of permanent ban from applying for U.S. citizenship. It is for these reasons that Tarshish Cody PLC attorneys can assist you in avoiding criminal deportation. Tarshish Cody PLC returns phone call inquiries promptly and will schedule a free initial consultation to speak with an immigration attorney to discuss how a criminal record affects your Green Card, criminal deportation, or immigration petition status. We welcome your call today at 952-361-5556 (or fill out the free case evaluation form below) to help you through the legal issues of your criminal charges case.